Forget roses and candlelight dinners – there are better ways to a woman’s heart! When local women were asked to select their favourite romantic gestures, over 50% chose making sacrifices, hugging and cuddling, and long walks together. Surprisingly, only 1/10 females chose giving flowers, while 2/10 chose candle light dinners. So guys, save the money and spend your time instead! What’s the most important quality in a partner? One third of women will tell you it’s all about the ability to communicate with one another – and it’s the top quality women look out for in both romantic and marriage partners. 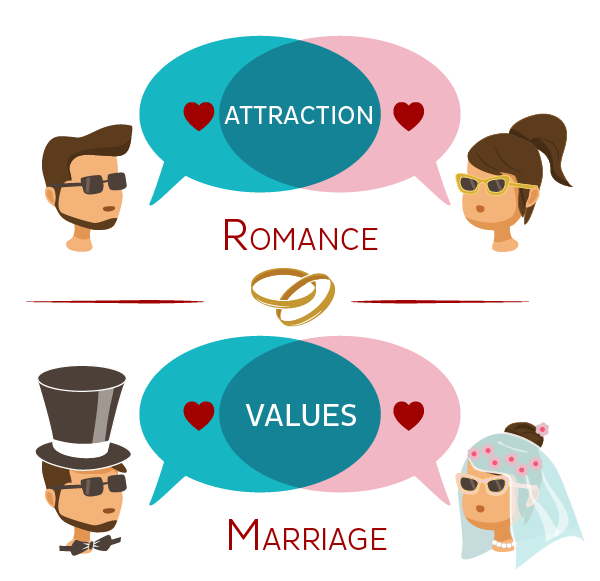 However, the difference comes when we talk about attraction! 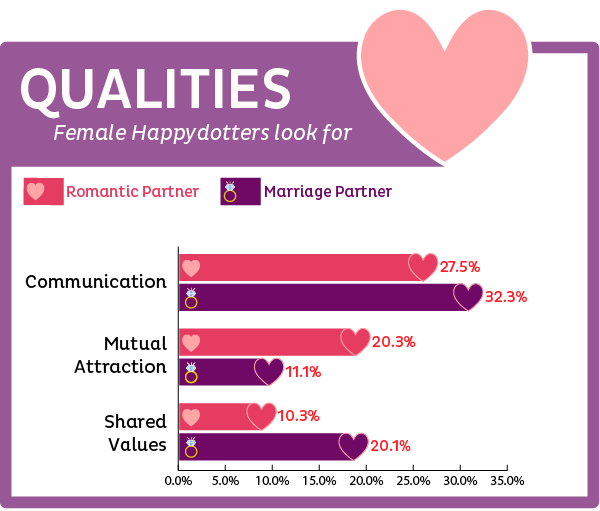 For romantic partners, mutual attraction ranks #2 on the list, but for marriage partners, having shared values is much more important.